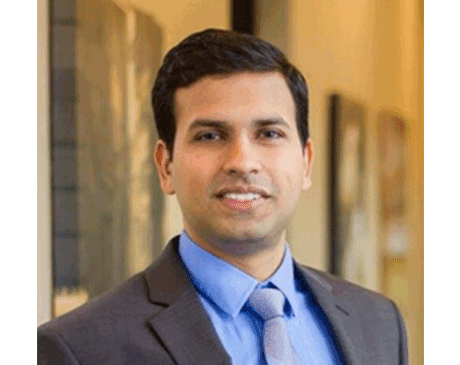 Dr. Valay Desai graduated from dental school in India and after practicing there he moved to United States to peruse continued education from University of Texas Health Science Center in San Antonio. After graduating while practicing in San Antonio he has been an active member of American Dental Association and Academy of General Dentistry. He recently moved to Philadelphia area and has been a part of Lansdale family Dentistry. He strives to provide minimally invasive dentistry with digital x-rays to minimize radiation exposure, CBCT, CAD-CAM, 3-D Imagining and Intra-Oral Color photos to treatment plan Implants with precision. Dr. Desai also is happy to help patients earn a beautiful smile by providing cosmetic dental services including veneers and E-Max crowns. He has also trained extensively in molar root canals, orthodontic services such as Invisalign and Oral Cancer Screening using Velscope. He is dedicated to continuing education to learn high-end dentistry by using exceptional and cutting-edge technology and procedures to provide the highest quality dental care for his patients. Outside of work Dr. Desai likes to play tennis and Volleyball. He is also having a good time exploring the city of Philadelphia!